As pioneers of TriBeCa, Lance Lappin Salon and its founders Ivy and Lance Lappin witnessed their neighborhood evolve from a small bohemian artist colony to the most sought after place to live, or have a business in the thirty years that they’ve called TriBeCa home. As a collaborative concept, they conceived their business plan and design of the space with the help of sculptor Charles Jones along with artist Steven Heller of Fabulous Furniture and designed the interior around Art Deco barber chairs that were in the Waldorf Astoria in the 1930’s . The intention of Lance Lappin Salon was meant to be an open source for innovation and conviviality. A hair salon where stylists displayed their creativity unhindered and guests felt welcomed and involved in the creative process. 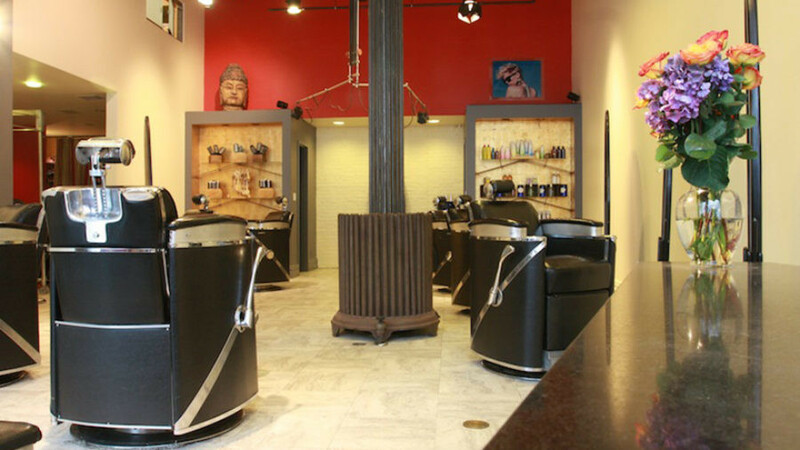 This dynamic approach helped this independent hair salon in NYC stay relevant year after year. In thirty years of business they’ve seen everything. Long before the events of September 11th and throughout the following years of recovery, Lance Lappin is a boutique salon that stayed competitive and is still flourishing today. For its 30th anniversary, Lance Lappin Salon gathered at its beautiful space to celebrate. Our creative styling team led by hair stylist Lau Gallico, prepared and put on a hair and makeup show. We offer special thanks to A Uno TriBeca boutique who dressed our models for the event. It was a great party!